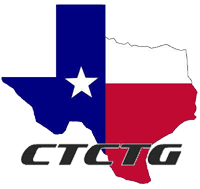 Fort Worth Combatives is the Fort Worth branch of the Central Texas Combatives Training Group (CTCTG). We are a certified ALIVE! Combatives knife, firearms and gunfighting school. We are also certified in Russian Martial Arts Systema, Siberian Cossack Systema, American Ninjutsu, Krav Maga ACT Knife and Stick Fighting, Texas License to Carry, National Rifle Association (NRA) Firearms, Emergency Care and Safety Institute (ECSI) First Aid school. We are a Tactical Emergency Casualty Care (C-TECC) trauma recognized educational partner. We are Fort Worth's premier martial arts and self defense training group with a strong focus of weapon and empty hand training for civilians, military and police. What separates us from the rest is that we have integrated the very best of traditional martial arts, along with military combatives and weapon training with a realistic context driven methodology that builds self defense skills fast. Building a robust local group of highly skilled training partners. Non-Exclusive Training: Embrace the idea that no one has all the answers, and there is no single "all-inclusive" combatives, martial arts, or gun fighting system. Seek "Combative Truth": Use opposition, competition and resistance to find out what works for yourselves, prioritize your martial arts and self defense training accordingly, and seek additional instruction to fill gaps in the group's knowledge. The idea is a individual who is training with his local group could develop a very high degree of fighting competence. Giving the correct methodology, and the proper diagnostic tools an individual could make the best decision about their own personal training. And if there was no local group available a person would have the ability to create and facilitate their own. In July of 1997 a new organization was founded by former RBWI (Robert Bussey Warrior International) instructors who wanted to maintain their ties with each other, continue teaching practical martial arts and self defense, and continue to grow and pass along their knowledge. These instructors named their organization Personal Protection Concepts and their primary system American Ninjutsu. Since 1997 Personal Protection Concepts (PPC) has grown beyond American Ninjutsu. Instructors with backgrounds in other martial arts and fighting systems have brought a wealth of new techniques and training to the self defense organization. Once screened for "fatal tendencies" and tested in the crucible of force-on-force combat, new material has been integrated into the curriculum. Today Personal Protection Concepts (PPC) is an alliance of members who work together towards helping each other achieve competence in all aspects of personal self defense and survival.